As far as Washington politics go, Ralph Nader has always been an outlier. He made his fame in the 1960s battling auto industry lobbyists in an effort to make America’s cars adhere to a much higher standard of quality and safety. To date, he’s run for president an impressive/depressing six times (the picture above comes from his last Presidential election in 2008). 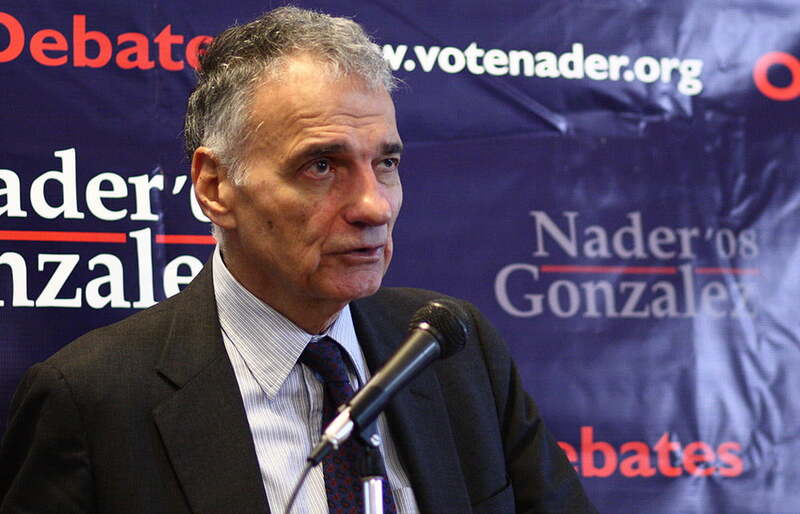 And while he’s failed at every attempt to secure the highest office in the land (although realistically his goal has typically been to secure 5-percent of the popular vote in order to qualify for federally distributed public funding in the following election), Nader has always attracted a loyal following of supporters keen on his brash, no-nonsense sensibilities and willingness to call out other politicians – regardless of party affiliation – whenever they happen to be doing something he finds appalling. Thanks to the ongoing fervor surrounding the gun violence debate here in America following the December 14 shooting tragedy at Sandy Hook Elementary in Newtown, CT, the latest target of Nader’s vitriol happens to be violent media, and more specifically, violent video games. Most reports you’ll see on this incident focus entirely on the fact that Nader opted to use the phrase “electronic child molesters.” While that’s not the most diplomatic series of words Nader could have used to illustrate his point, it may be nothing more than a poorly chosen turn of phrase. Instead, the important part of Nader’s statement is that bit about “sensitizing” people. There’s something intriguing in the idea of combating the effects of media violence by making said violence even more visceral and “real” than it already is. If a gamer experiences legitimate, natural feelings of horror and loss after killing a virtual foe, the idea of violence, whether in meatspace reality or the world of gaming, would lose its established entertainment value. Hypothetically that should put some kind of dent in our violence problem, but it would also necessitate a seismic shift in the way our society and entertainment industries function as a whole. This seems like another instance in which Ralph Nader may have a really great, simple idea that just calls for too much change, too rapidly for it to ever be feasibly implemented in the real world.